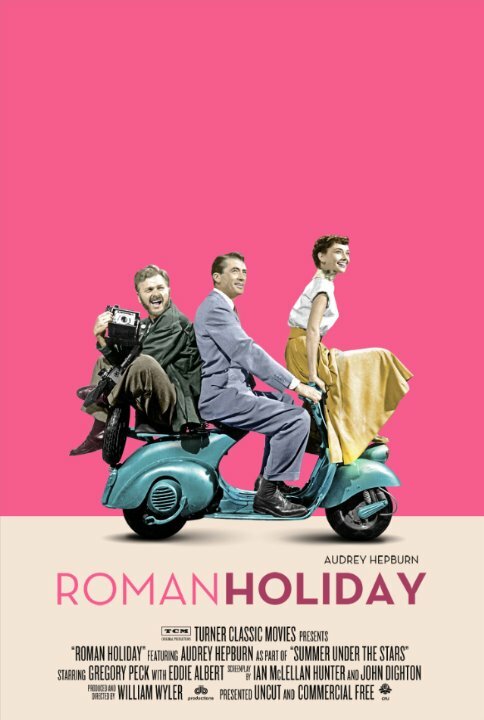 Synopsis: A bored and sheltered princess escapes her guardians and falls in love with an American newsman in Rome. Did You Know? Dalton Trumbo was blacklisted in Hollywood at the time the film was released. So his friend and one of the writers of the final screenplay, Ian McLellan Hunter, fronted for him and took credit for the original story and accepted the Oscar. In 1993, almost 40 years later, the Oscar was finally presented to Trumbo’s widow. However, the Oscar that was actually presented to her was a second one, because Hunter’s son refused to give up his father’s Oscar. Audrey Hepburn and Eddie Albert are delightful in this film. Gregory Peck, however, was really flat, dull, boring, uninteresting, and any other synonym for boring you can think of. To his credit, it is hard to keep a mild-mannered, low-key character interesting, especially when your cohort is as eccentric as Eddie Albert was. I think the gags with Albert’s character being tripped and getting drinks spilled on him would have been much more hilarious with someone other than Gregory Peck being the one tripping him and spilling things on him. But Hepburn and Albert definitely make up for his lacking.